The girls had a good win against Lancing on Wednesday on the Senior School astro. Although it was a warm day the girls really enjoyed having the space and time on the ball and made good use of the pitch. Isabella (GK) was ca lled on early in the game to make a couple of clearances but as the shots weren’t followed up she calmly and accurately cleared the ball to the sides! Khushi led the attack and was rewarded with a solo goal early on in the game; she took a quick free hit into the D and struck it passed the keeper. 1-0 to Copthorne. Lila, Grace and Khushi worked really well together in the forward attack, drawing the defender and then passing the ball on. Hannah did well to pick up any loose ball as centre mid too. These 4 girls should be congratulated for their sheer determination as they didn’t stop running for the whole of the game … and it was hot! Lila was unlucky not to score and Grace put us 2 ahead with a lovely goal. Leah and Isabel covered each other well at the back and both tackled well to deny the Lancing girls many chances on goal. The Lancing girls had a much better second half and the Copthorne girls had to dig deep. However, Khushi put the game out of reach with another wonderful shot on goal which unfortunately hit a Lancing defender and passed the goalie. 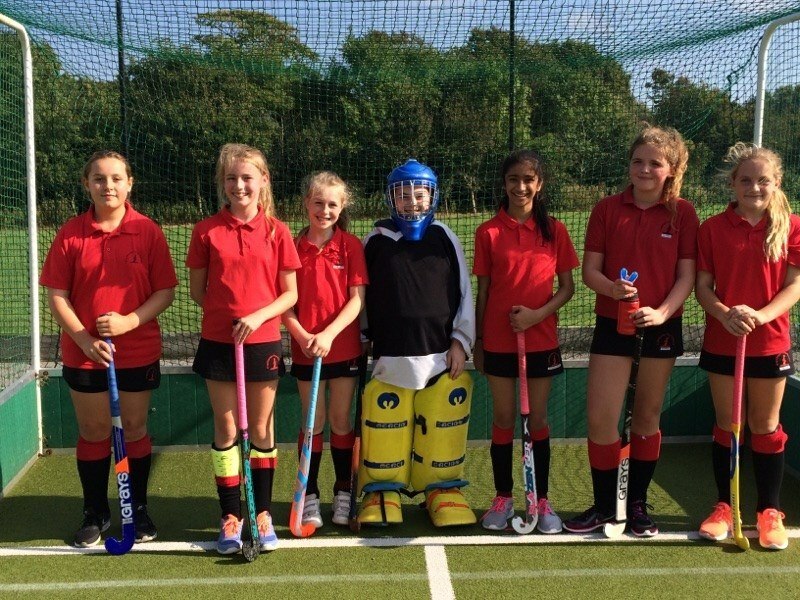 Congratulations to Khushi who was voted player of the match and well done to all of you; Isy (GK), Khushi (Capt), Grace, Lila, Isabel, Leah and Hannah. Huge thanks to Mrs Seager for helping to transport the girls.